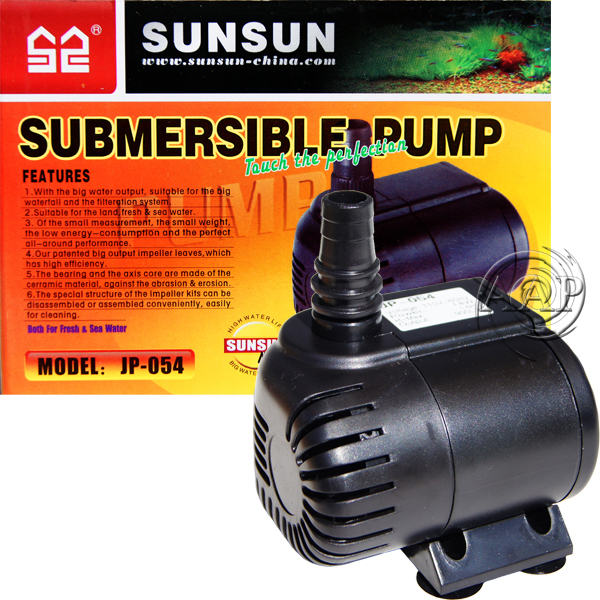 We now sell the AAP/SunSun line of economy pumps as a compliment due to Via Aqua ceasing production of their line of aquarium/fountain/pond pumps. 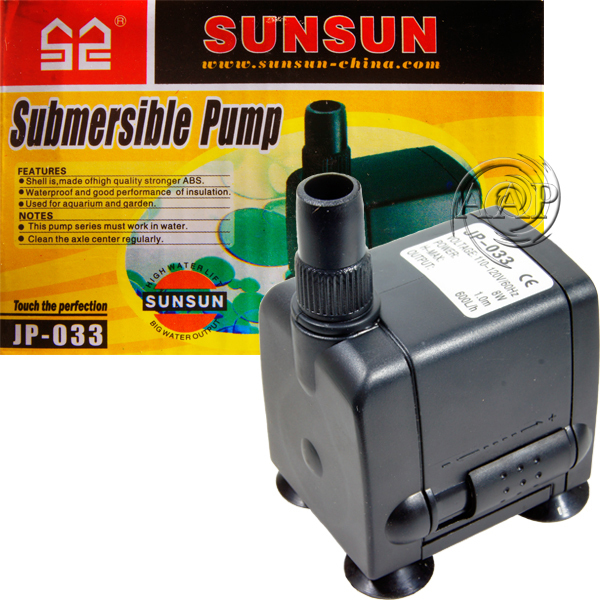 The bottom line is with the SunSun you will get a better made pump with more head pressure, but with less attachment options. •	Recommended tubing size: 1/2" ID (best attached when heated), OR 5/8" ID tubing (recommended). •	SUPERIOR pump in head pressure, design to NP 305 or VA 305 and ALL related pumps!! This pump replaces the Via Aqua 302, and is essentially the same pump, but a more "beefy" rugged version with a higher flow rate and better head pressure! 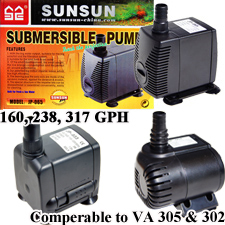 •	A better, UPDATED version of the Via Aqua 302 with SUPERIOR Performance, unlike other pumps sold elsewhere as a replacement. 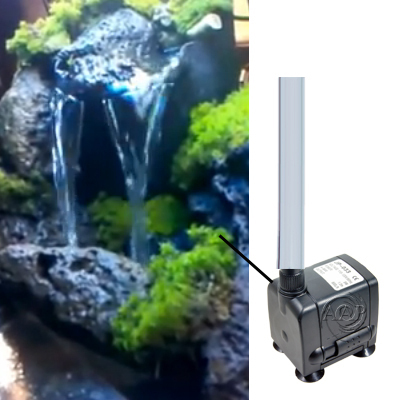 Also Consider the more versatile Rio 1000 or Rio 200 as another alternative to the Via Aqua 305 & 302 Pump respectively. 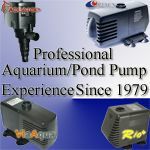 Rio Plus Aquarium and Fountain Water pumps are a step up from the basic Via Aqua pumps (such as the Via Aqua 305) in quality and performance. Consider the Rio 1000 as an alternative to the Via Aqua Aqua 305.